The K-9 KUBE was developed by CJM Attachments to solve the OHS problems of dog bite and musculoskeletal injury for Local Law officers at Swan Hill Rural City Council. Harold Rovere, Swan Hill Rural City Council Manger, Regulatory Services supports the introduction of the K-9 KUBE saying, “The K-9 KUBE eliminated the lift and bite risk”. Mr Rovere continues by saying, “The Local Laws Department operates with a greater level of operational flexibility and safety”. See worksafe video. 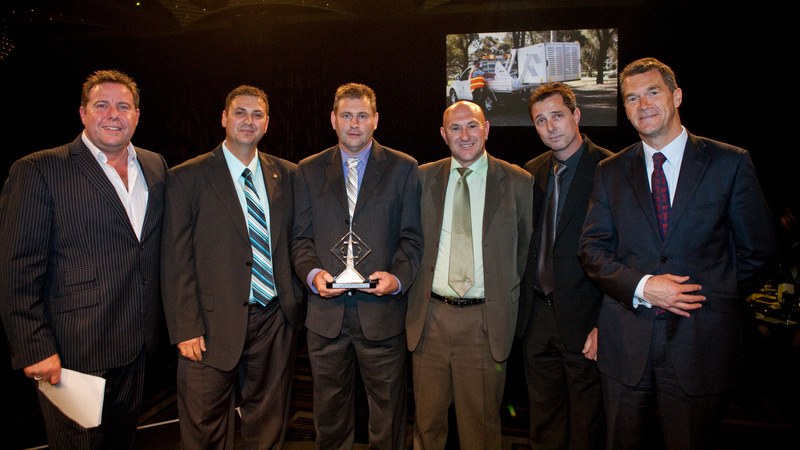 After undergoing a thorough testing period, the K-9 KUBE went on to win the 2011 WorkSafe Victoria award for Best Solution to a Workplace Health and Safety Issue. 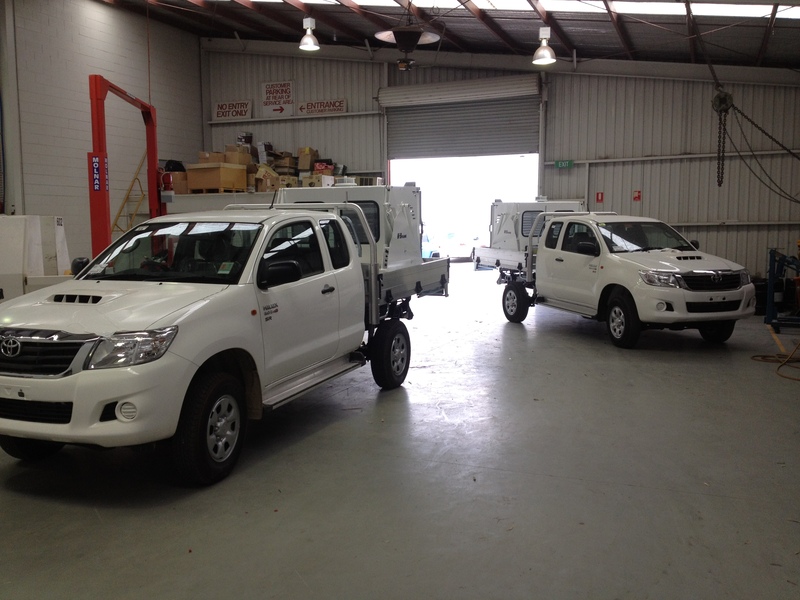 Following this success, it was a 2011 finalist in Safe Work Australia Awards in Canberra. Now in production the K-9 KUBE has been implementing across Australia, enabling animal management officers the ability to complete their duties in a much safer way. 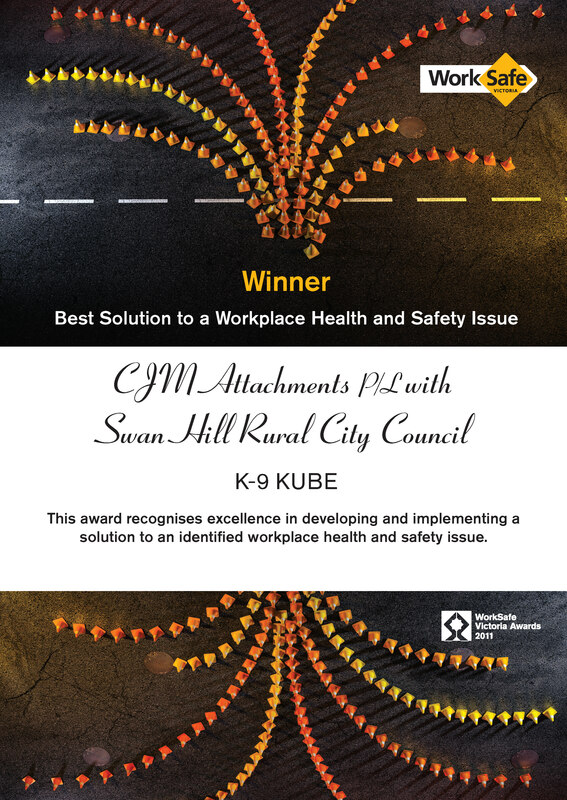 CJM Attachments in conjunction with Swan Hill Rural City Council, winners of the 2011 WorkSafe “Best Solution to a Workplace Health and Safety Issue”.